Can We Understand Unspeakable Evil? 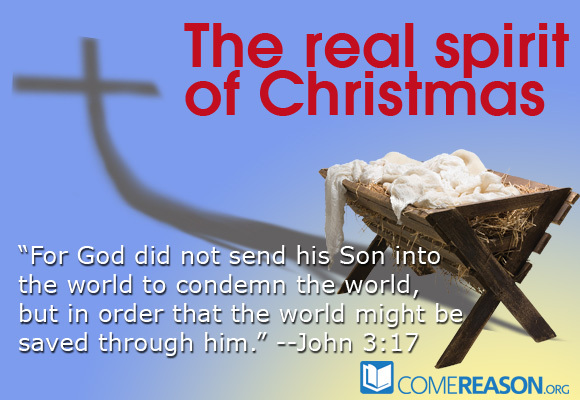 The Come Let Us Reason Together podcast has been one of the most popular features of our ministry. With nearly 125,000 downloads last year we saw our podcast audience grow by about 40%. 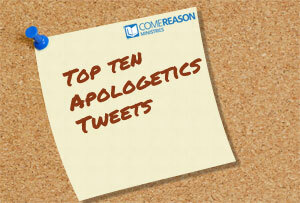 This weekly series continues to provide thoughtful instruction on important apologetics issues. 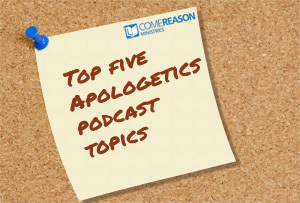 We've been blessed to again be counted among the top 16 apologetics podcasts by the well-respected Apologetics 315 web site. Below are the top five topics downloaded in our 2012 releases. If you haven't yet subscribed to the podcast, you may do so via iTunes or by RSS. Does God's Predestination Contradict My Freedom to Choose? 2012 is coming to a close, and as I did last year, I'd like to take a moment and look back on some of the more popular posts from the last twelve months. Come Reason has continued to reach farther than I would've imagined, with over 300,000 unique visitors from all over the globe reading our articles, posts, and interactions Add to that the highly popular podcasts and the various peaking engagements, and we've been very blessed this year. Below are the top ten blog posts for 2012. 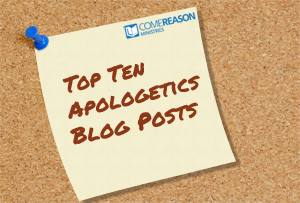 My series on the "Top Ten Neglected Books for Apologists" really resonated, making six of the ten spots on the list. But the most popular post by far was my response to Jefferson Bethke's viral video "Why I Hate Religion but Love Jesus". It seems that everyone had an opinion on this, I only hope that my thoughts add to a better understanding of approaching Christianity as a thoughtful faith. The other top posts dealt with the Billy Graham organization's purging the word "cult" from their web site during Mitt Romney's campaign as well as an internal contradiction within the Book of Mormon itself. All ten posts are linked below. Which was your favorite? What's Wrong With "Why I Hate Religion, But Love Jesus"? Billy Graham, Mormonism, and the word "Cult"
Top Ten Neglected Books for Apologists - #9… A Romance Story? Should the Gospel accounts be taken as history or as propaganda? The Sandy Hook Elementary School shootings is a tragedy beyond words. We think of the innocent lives lost because a young man sought revenge for either real or perceived wrongs from his mother. "But they were kindergartners really just babies… how could someone look into innocent faces and take their lives? It's insane." We try to process such brutality. We seek to have it make sense to ourselves and so we start to put labels on the actions of Adam Lanza. It's evil. It's monstrous. It's insane. That's the word that people keep falling back upon. Insanity. Certainly, no one in their right mind would do such a thing to such precious children. Some discover that Lanza had Asperger's syndrome, which is a mental condition, and conclude that this must be the cause. I have a different word for Lanza's evil, a word that has lost much of its power in our modern discourse. Lanza's actions were sinful. We don't like to label this tragedy as simply "sinful". It doesn't seem, well, extreme enough. But why is that? It is most likely because we recognize that we are sinful ourselves. There are enough remnants of the Christian worldview left in our society that we can remember phrases such as "He who is without sin cast the first stone" and we know that we have failed. We know that we have sinned. Because Lanza had some type of mental condition, we try to separate his actions from our own. He's not like us, we say. Except that he is. Lanza's actions were driven by a selfish need. All sin is ultimately selfish, it seeks one's own feelings, one's own desires above God or another person. The base motivation is the same; it simply becomes a matter of degree afterwards. "But I'm not like that! What he did was something totally different than any little wrongs that I may commit." Before Christianity was prevalent in the world, slaughtering innocents was a much more commonplace occurrence. Canaanites and Israelites would sacrifice their children to the fires of Molech. There is evidence of the Incas performing child sacrifice in ancient America. Romans would abandon unwanted infants so they would die of exposure. Modern Americans abort their children so it won't interfere with their personal plans and desires. Because we live in a post-Christian society, sin is a word we wink at. Las Vegas is known as Sin City and whatever you do there better stay there. The City developed the idea as a marketing catchphrase. But why? Because the idea is that while in Vegas one should live for him or herself. To find out the things we did, the selfish pursuit of pleasure, we could damage our reputation. We could hurt someone with whom we have a relationship. We could hurt other people. Think about that. Selfishness damaging another. It happens every day. Lanza's actions are horrific. But this is why God takes sin so seriously. He knows how sin damages lives and he cares about those lives. We see the immediate devastation of families in Connecticut and immediately recognize that the pain they experience will be with them for life. We look at a pornographic image and don't think about the life-inflicting pain on the girl who has to live with her objectification or how it encourages acts such as sexting by our young. Sin is real. Sin is dangerous. We need to recognize that. We need to start thinking about the Christian concept that we are all sinners, capable of things that are horrific to a God who sees the end result. 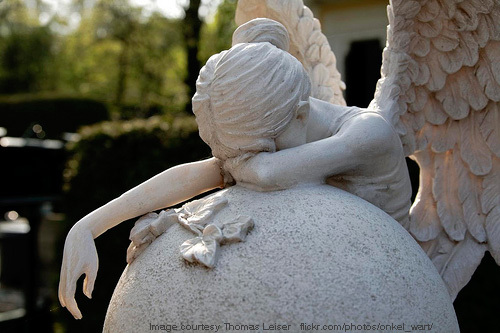 Pray for the families in Newtown. Pray for their comfort and their loss. Then, pray for the rest of our society. For by seeking to dismiss Lanza's actions as insane instead of sinful; by trying to escape the fact that Lanza is not so different from the rest of us, we lull ourselves into a position where such incidents could happen again. May God have mercy on our souls.